Jana worried that her attorney would "go MIA" during the process of her settlement. Learn why she says that T&E is "a great law firm to work with." Jana W.
?What does it mean when a lawyer offers a free consultation? ?When should I consider hiring an injury attorney? ?What does an attorney do for me? 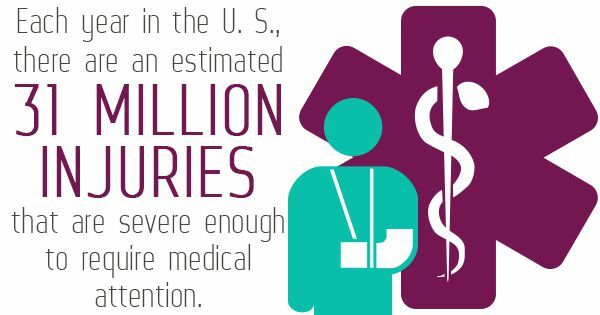 Each year in the United States, there are an estimated 31 million injuries that are severe enough to require medical attention, and many of these result in personal injury cases. Personal injury refers to bodily injury that is incurred as the result of someone else’s negligence, which means that many times, someone other than the injured party is responsible for the injury and the associated costs. This is usually reimbursed to the injured person in the form of a settlement. What are personal injury settlements? Personal injury settlements are usually the way that parties involved in an incident resolve the personal injury case. A settlement is usually a sum of compensatory damages that are paid to the injured person. These generally cover all of the costs associated with the injury, like medical bills (at the time of the injury and in the future), lost wages, loss of ability to work (at the time of the injury and in the future), and pain and suffering. Spouses can also make claims and get awarded settlements for loss of consortium. How can I get a settlement? Getting a settlement can be a pretty complicated process, and it’s usually best to have a personal injury attorney at your side to help you manage. The first thing you need to know is that you do not need to go to court to settle. Your lawyer can help you estimate your expenses and begin negotiations with the liability insurer of the person responsible for your injury. In some cases, the parties will settle on their own terms. The cases that do not (which make up only about 4% to 5% of personal injury cases) go to court. In cases that go to court, plaintiffs only win 50% of the time. How does pain and suffering factor in? One of the most difficult parts of evaluating damages in a personal injury case is pain and suffering. Pain and suffering refers to the mental and physical anguish that a person experiences as a result of his or her injury. The problem is that this is impossible to put a number on (unlike something like a medical bill). The solution for this is to use what is called a multiplier. This is a number, usually between one and five, that is multiplied by the total amount of monetary damages. Getting personal injury settlements is not always a sure thing and can be a really complicated process, which is why it’s essential to find a qualified personal injury lawyer — whether you intend to head to court or not.